Feel free to contact me directly on twitter @le3kyÂ if you like my posts or want to discuss further!! I was recently given an iPhone for use as my work phone and you know, I actually quite lookedÂ forwardÂ to seeing how the other half lived and worked. I went into it trying to keep an open mind, and not let my thoughts of ios judge how I was about to use it. I think coming from android might have spoiled me slightly, I probably expect too much from a phone now. If I had come from a dumbphone, my view of the iPhone would probably be quite different, as it is, the following key things stood out at me.. There is no quick way to disable/enableÂ things like WiFi or Bluetooth. Each of these takes multiple clicks. It should be easy. It isn't, it'sÂ frustrating,Â especiallyÂ if you do it lots like I do. Android lets you add quick toggles to your notification bar, a much more user-friendly way. 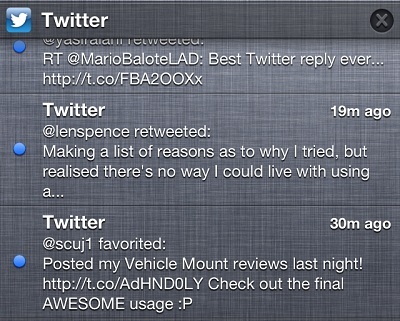 Possibly the mostÂ disappointingÂ aspect of ios. The scope of background processes is extremely poor. Two big examples are that Dropbox cannot upload your camera uploads unless you open the app. That is one of the main reasons Dropbox included this feature! So you don't have to worry about doing it. The other? 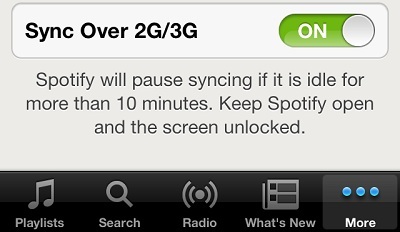 Spotify will stop syncing your playlists after a few minutes once you leave the app. Needless to say, it won't even attempt to sync them unless you open the app to begin with. Things like this happen on androidÂ automatically. Apps can have separate background threads designed to do things like sync playlists, and upload photos without eating up your battery. Apple won't let you move certain apps inside a folder, so if youÂ don'tÂ read magazines or newspapers on your 3.5" screen, you're stuck looking at an empty bookshelf forever. Literally, you can't remove it unless you jailbreak. I know, I thought the same too, you actually have to jailbreak your device in order to move an app icon into a folder (or totally from view). It feels a bit silly to even mention android folders inÂ theÂ same paragraph, the functionality is miles apart. You can't share a photo to Instagram from the camera. You have to actually close theÂ galleryÂ and then go intoÂ Instagram, then locate the image inside the gallery. Way too many clicks than should be necessary. 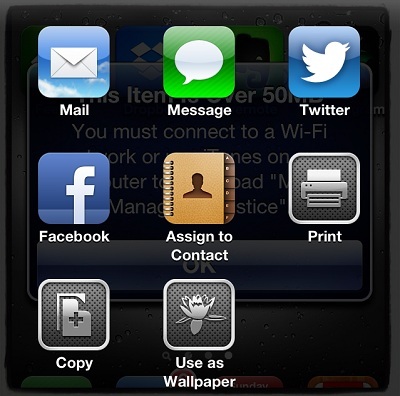 You are presented the option to share to apps you don't even have installed! Talk about confusing! If you've ever used android, you'll understand just howÂ sophisticatedÂ appÂ interactionÂ can be, and how pathetic Apple's version is. The settings to configure an app are not accessible from the app in question. Using an app and want to change how it works? You have to leave the app, go toÂ theÂ settings icon, scroll all the way down what could be a pretty huge list (you have to scroll past all the Apple-owned apps first, even if you never use these), then enter the settings option for that app. Then you have to go back and reopen the app again. It's a long, drawn out process, that makes little sense to me. You can't download an app that is larger than 50mb unless you are on WiFi, or unless you connect your phone to iTunes. You know thatÂ unlimitedÂ data you pay a lot to your network for? Apple doesn't care. The notification pulldown is quite poor. 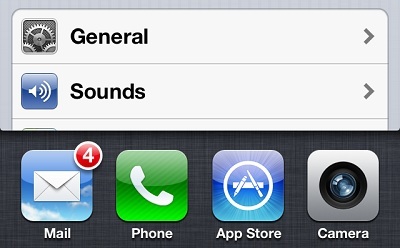 It shows every notification for each app, rather than grouping them. This means the list can get pretty large, and the only way to clear an item is to clear all items. You also have to do two things to clear a list of items. 1: Click the cross, then 2: click clear. One action should suffice here. You get told of a new notification, but afterÂ theÂ initial message you have no idea if you have any. You have to manually swipe down to see if there are any there. Ruins the point of a notification panel. 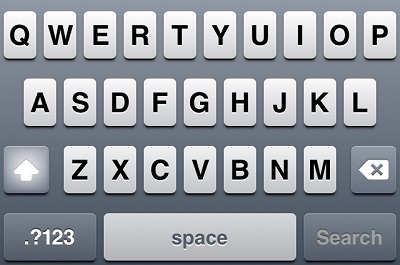 The keys always show uppercase letters. sure you can tell if you're actually aboutÂ toÂ type inÂ upper-caseÂ as the shift key isÂ highlighted, but come on, it feels soÂ archaicÂ whenÂ you're using it. You have to click the more button to type anything other than a letter. Writing anything with a comma, question mark or number in takes twice as long as you have to switch back and forth over and over. When you tap on a letter, the pop-up showing you what you clicked isÂ enormous! ItsÂ ridiculousÂ it's so big it actually stops you from seeing theÂ characterÂ you want to type next. There is no point having a good camera when you can barely see anything you take as the screen is so small. This isn't just holding back the camera either. You need great eye-sight to use an iPhone, everything is tiny. Sure you can zoom in on the browser, but then you can't see much of anything else. Most apps don't let you zoom. 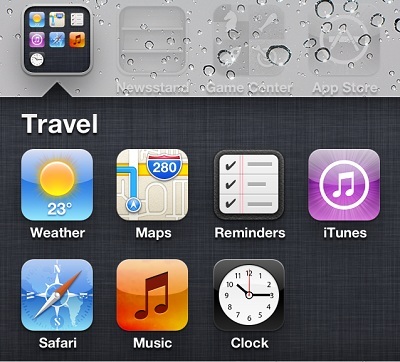 This is a big issue duringÂ generalÂ navigation too. The amount of times I've had to keep jabbing at a small cross, or mini back button because it doesn't register my touch. It's just annoying. So I use Chrome on every device, why? So all my stuff syncsÂ whereverÂ I am, whatever I'm using. Apple tries its hardest to make your life difficult. I installed Chrome on the iPhone, but I rarely ever got a chance to use it. Apple defaults to Safari for everything. This is the same for theÂ majorityÂ of apps that Apple bundle with the phone. Keyboard, dialler, email client, you name it, you probably can't change it! The UI isÂ reallyÂ beginning to show its age. This is essentially a 6 year old design, and it shows. When others are actually pushing design forward (see Windows Phone, Android), Apple are really stuck in a rut here. If you disagree and own an iPhone, then simply take a look at any google app on your device. You'll understand what I mean. A couple of years ago I'd get laughed at for saying this, but right now Apple is trailing far behind android on looks. The scrolling! Have you ever tried scrolling on an iPhone? It's like you purposely stuck your phone in a big tin of Golden Syrup, then put glue on your thumb, then attempted to scroll down a web page. Fancy downloading an attachment from your email? Tough luck. You can open it, you can share it to about 4 places (the places Apple allow you to), but download it? No chance. That is just a list of things that annoy me about the iPhone, there are plenty more things that android does a lot better, but quite frankly I ran out of time. The single biggest annoyance though? Apple makes it clear when you use the iPhone that it knows best. They know better than you what apps you want to use, how you want to interact, how you set your phone up. But throughout my use of the iPhone I've come to one major conclusion. Apple knows nothing about me. But wait, it's not all bad. Apple does have some good stuffÂ goingÂ for it (if you forget about the cost), I mean it's all about the apps right..? Right? (NB: This argument doesn't work when your biggestÂ competitorÂ also has hundreds of thousands of great apps). But truthfully, there are someÂ things that Google can learn from Apple. I'll discuss these in an upcoming post!